They look awesome, Jen! I had a flick to her blog – looks interesting. 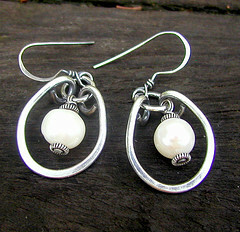 I mailed the earrings on Monday, so you should have them in 5 to 10 business days…I used taupe freshwater pearls…enjoy! And thanks for chiming in on my blog from time to time….I love reading yours!